the annual cookie party we throw at the house with the bean's OG dance class girlfriends is a tradition we've come to adore. 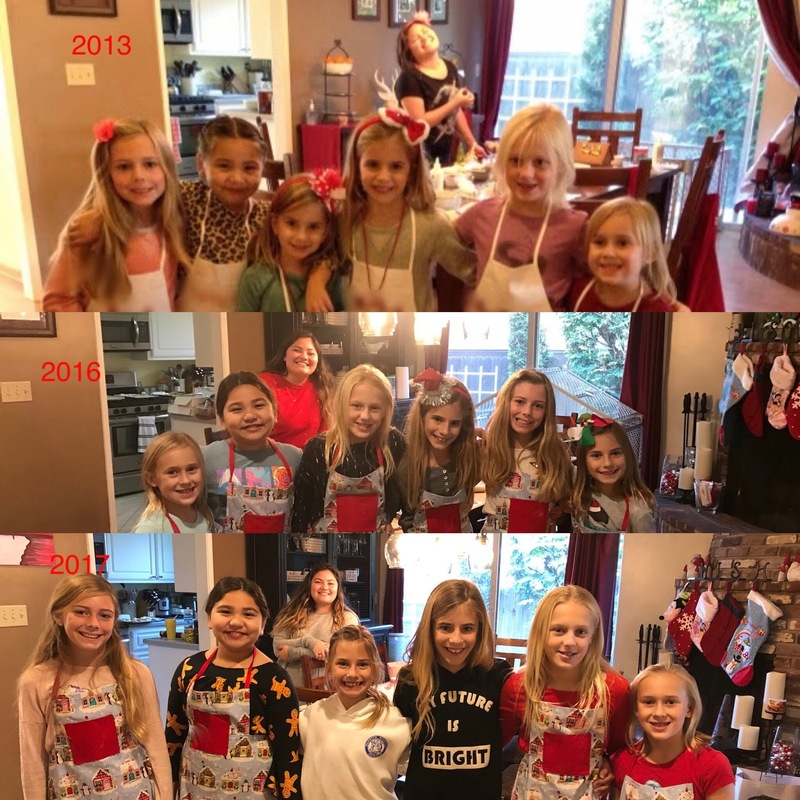 only two of them are still taking dance lessons (in two different studios) and because everyone has such hectic schedules year-round, this is really the only time we get to see each other. 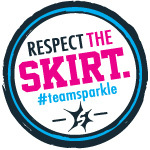 we'd originally settled on a date that worked for everyone, but as a couple of the girls' soccer teams advanced further and further in the ranks and went on to playoffs and finals, we had to scramble to reschedule. 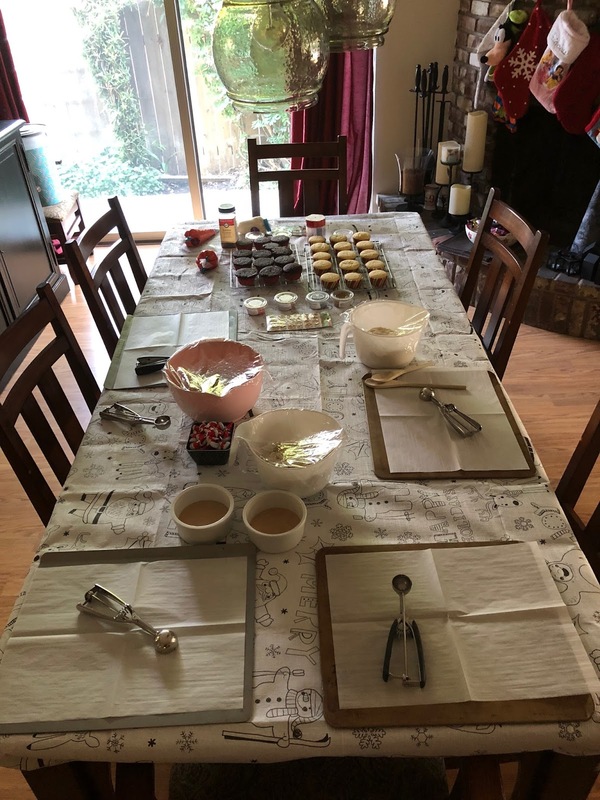 and we got a christmas miracle - another day that worked for everyone to be able to come over and have our party. 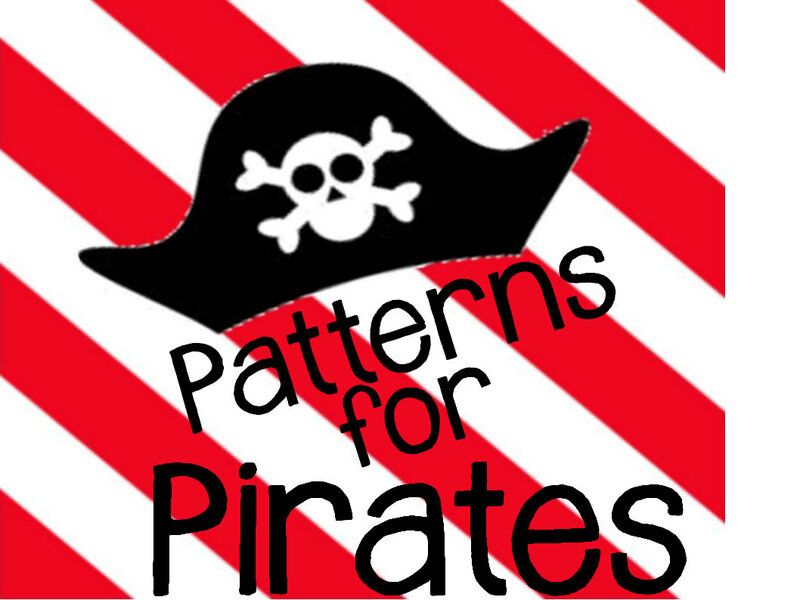 i like to change things up so that the girls aren't doing the same thing year after year. 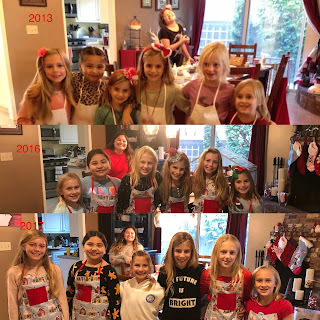 i guess it might have been more fun to actually stick to one thing that they come over to do, but maybe we can start repeating some of the past years' activities. you know - we did gingerbread houses, gingerbread cookies, sugar cookies. all were fun and everyone had a great time. 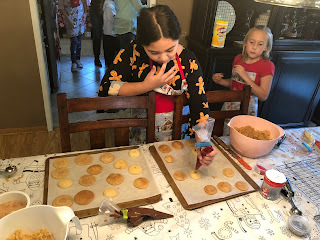 this year, i thought it might be fun to make a few different kinds of dough so they could make their own cookies and then take home a nice assortment of treats. 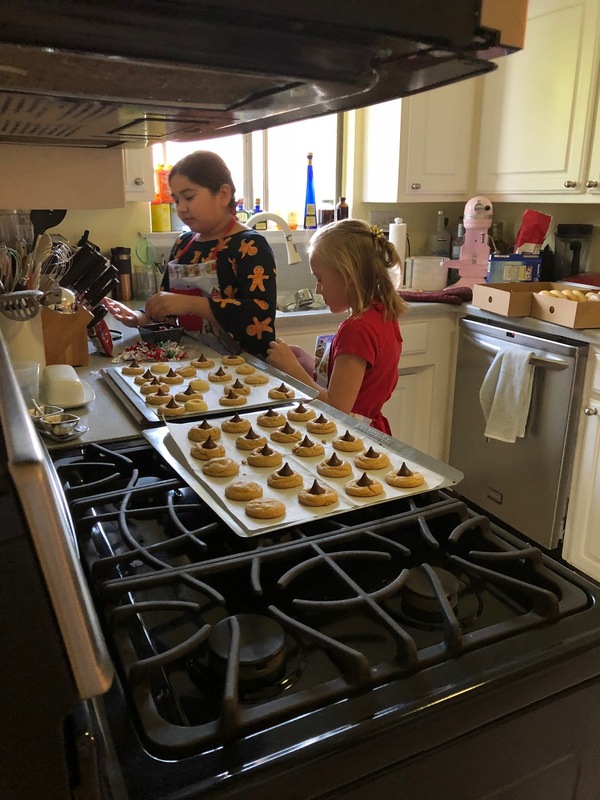 with the bean's help, we settled on thumbprint cookies with either strawberry jam or nutella to fill them with, classic snickerdoodles, and peanut butter blossoms. 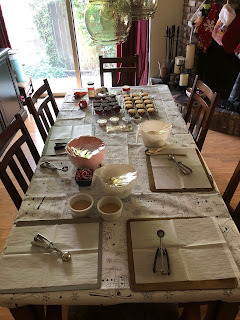 i decided to prebake some cupcakes too, and filled a few piping bags with cream cheese frosting and set out a bunch of sprinkles and other decorations. 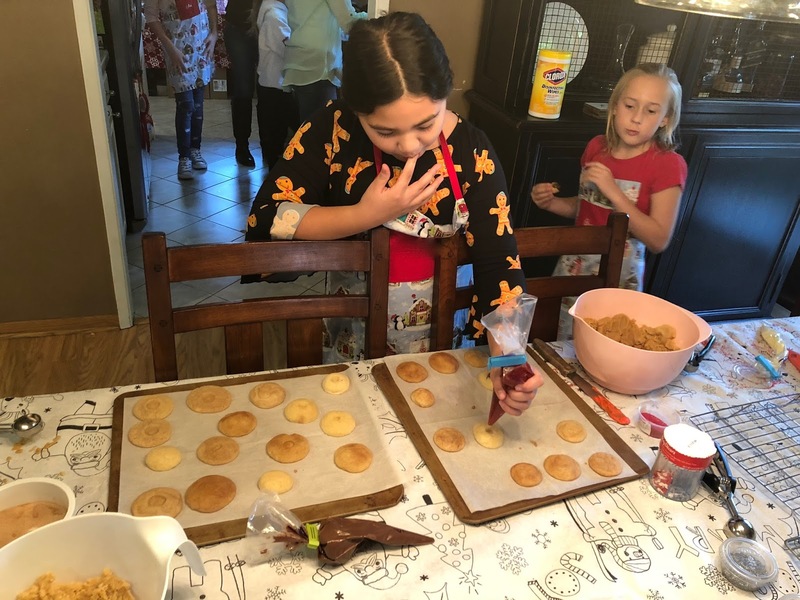 they had a great time working on shaping the cookies and rolling them in sugar and all that jazz. 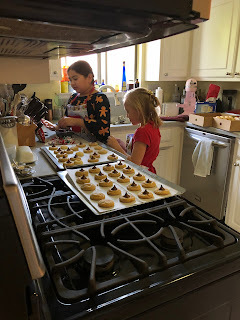 and these two took on the task of unwrapping and pressing a hershey's kiss into the tops of the peanut butter blossoms as they came out of the oven. usually the novelty of the cookies wears off relatively quickly and then the girls disappear into the bean's bedroom to play with her toys. this year though, i noticed that their attention was held a bit longer with the different types of cookies and the cupcake decorating. 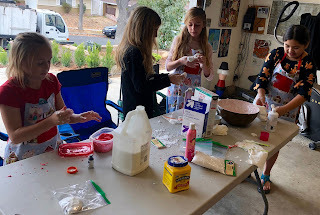 and while they did go into the bedroom for a few minutes, they came up with a new activity: making slime in the garage. the hub had been hanging out in there, away from the chaos and craziness, so i felt a little bad when the girls invaded his quiet space. but as is his nature, he didn't mind a bit and got them all set up with a table to work on. i mean, look at how much everyone has changed over the years! 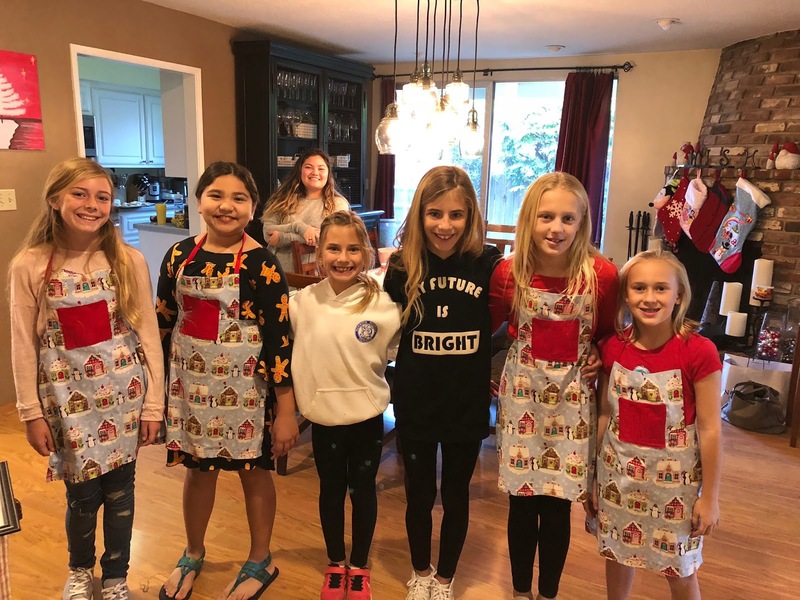 i'm just so happy and grateful that the girls aren't over this cookie party yet. 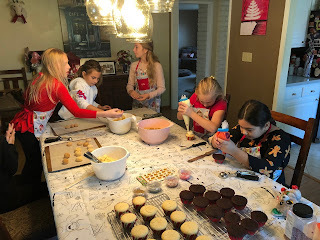 i know that may come in time, as they get older and have lots of other holiday activities to do, but for now i love keeping up this fun little tradition. it helps that i adore their moms too, and while we keep up with each other on social media, this annual GTG is something i look forward to every year.